Backlinking Tips to Get Your SEO Rankings Through the Roof! SEO is definitely important for your customer’s website. When you’ve built an amazing website, designed it to look great but have no or low visitors, you’ve got a problem. One of the most effective ways to get your customer’s website noticed is through Search Engine Optimization. We tell you how you could get SEO rankings up through one important way: BACKLINKING. What is backlinking? 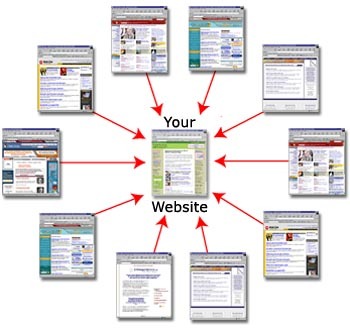 Simply put, it’s a linking from a website / webpage / blog back to your own website / webpage or blog. It is also called ‘in-bound linking’. Fixing broken links on a website is simply like a house owner getting his house in order – this includes reducing 404 errors, increasing links to pages within the website, etc. Many websites have broken links. Some which are overlooked and some which just aren’t fixed. Links are crucial for search engines to pick up your client’s website / blog / page. A useful tool to use is Broken Link which can help you identify these broken links. One of the best ways to get your client’s brand out there and showcase his expertise is forums. Forums usually see a good influx of visitors on a daily basis and it can be a platform for him to link to his website. Participate in forums by responding with questions your client can answer thoroughly and link to his website when it seems appropriate. Avoid spamming on forums and try not to force fit the website link just for the sake of visibility. Linking to sites that are connected with your client’s business is a fantastic way to build links. Do check it out if you’ve got a minute and feel free to share it on social media. There are a couple of backlink tools that show you who is linking to your competition but very few who sort these by freshness. Cognitive SEO has a tool that does just this. 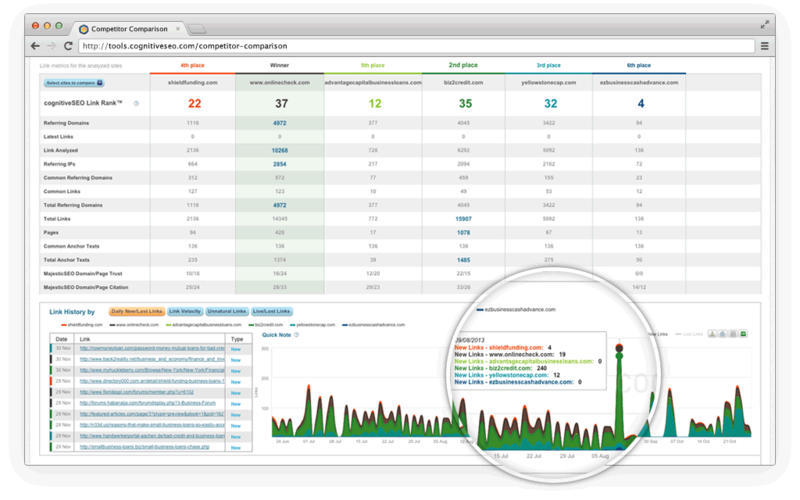 It displays websites that have recently linked to your competition. I read your blog <insert link> and noticed you didn’t link to <insert your url>. I think we could give your readers some value add <insert the value his readers can get>. I just thought I would make a mention of it since you had linked to <url>. 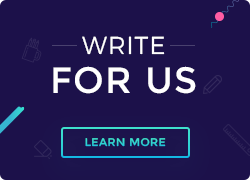 Anyway, keep writing awesome stuff. This might get you about 7-10 linkings for every 100 mails you send. I know it doesn’t sound like too much but it’s a start. While backlinking from infographics have decreased, there’s no doubt they work far better than all other ways of backlinking. In fact, infographics are great for sharing on social media. 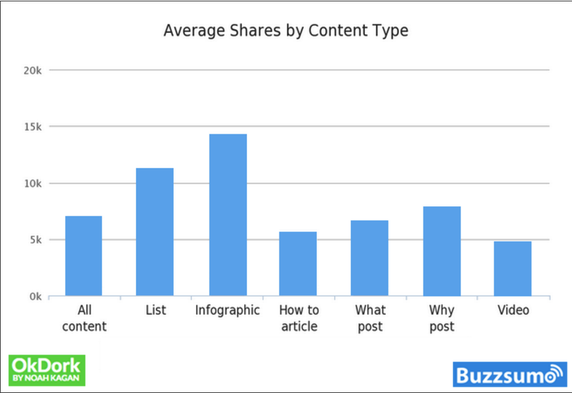 BuzzSumo analysed over 100 million articles and came to the conclusion that infographics are shared more often than any other type of content. Like I mentioned before about posting and answering questions in forums, Quora is a fantastic platform to answer a few more. It’s a good idea to create your client’s company profile on Quora and get asked questions about your industry. It’s a great way to link to your client’s website without seeming like a force-fit. Again, make sure your answers are researched thoroughly to build credibility. These couple of tips are a great way to boost your client’s SEO rankings organically. My hope is that you’re able to optimize your client’s website in the best possible way. If you’ve got more tips, we’d love to hear from you in the comments below.